Acne Scar Treatment Healing Diary Released by Dr. Philip Young Seattle | Bellevue: So we are excited to release our new photo diary on the healing process and recovery after subcision and deep chemical peeling for Acne Scar Treatment (Here is a link to see this Acne Subcision Chemical Peel Healing Diary). Many of our clients wonder what the healing process is like. We wanted to show the healing process through photos and what to look for in terms of healing and how to clean etc. Deep chemical peeling is much like the process of laser resurfacing and the recovery and cleaning / healing process. So we invite you to also visit our laser resurfacing page to find out other tips to get the best healing from chemical peeling and laser resurfacing. Subcision is the process of elevating the tissue under the skin and scarred areas, to allow the depressed scars to elevate to the more normal unscarred skin. This is the first step in making the scars look better. The depression in acne scars can cast a shadow in this area, the darkness clues people on the status that the particular area is not like the rest (ie it looks like a scar). After the scar is more elevated then you can proceed to polish the skin level to get it to look more like normal skin. The polishing step is when we decide to do laser resurfacing and dermasanding. Dermasanding is the process of dermabrasion with medical grade sterilized sandpaper. 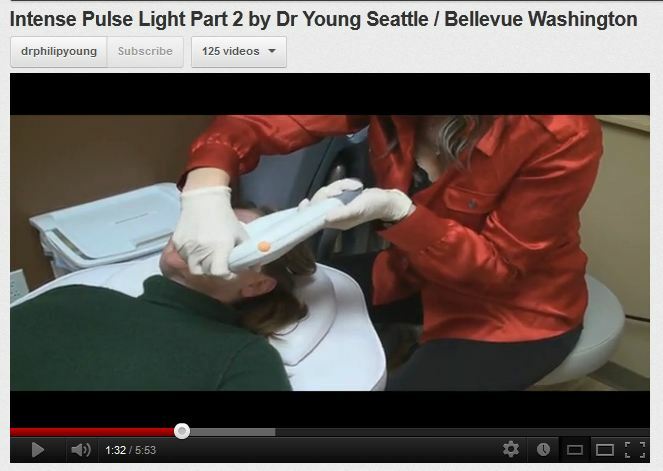 This is a more accurate way of doing dermabrasion in Dr. Young’s opinion. It also avoids spreading infection to the people around. Introducing PCA Peels to AFPS! Introducing PCA Peels to AFPS | Dr. Philip Young! What kind of peel is good for me? What is the difference between peels? These are always questions that arise during any skincare consultation. I believe that there is a peel for everyone! It doesn’t matter what type of skin or condition, there is a peel for you! Some of my favorite peels are TCA Peels from PCA Skin. (www.pcaskin.com) Trichloroacetic acid (TCA) peels are often thought of as very aggressive and producing substantial discomfort. PCA Professional™ TCA peels are very different from the standard. 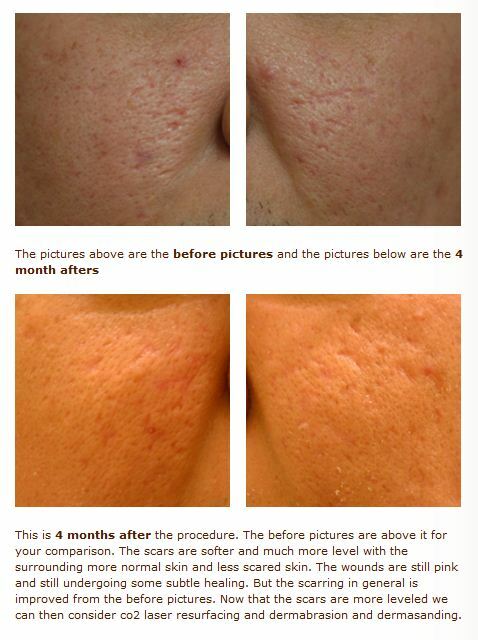 These TCA solutions are blends formulated with many ingredients including lactic acid (milk), ascorbic acid (vitamin C), plumping phytohormones and kojic and azelaic acids (natural skin lightener and antimicrobial) to produce dramatic results without the discomfort and downtime associated with traditional TCA peels. Come in today for a complimentary consultation! Posted in Chemical Peels, Diary of a Facial Plastic Surgery Aesthetician | Comments Off on Introducing PCA Peels to AFPS! Fillers 2 days after Jessner’s Peel. Is this okay. Is it better to do fillers or peels first? It should be okay but to be safe I would wait at least 1-2 weeks to do fillers after Jessner peel. I think it takes about 4-7 days for a Jessner’s to fully heal. Most of the time it takes only a couple of days. So generally, I like to wait for the healing to take affect before I do fillers. I usually like to do fillers before peels. The reason is that with fillers the wrinkles becomes better effaced and this can allow the peel to get into the crevices of the wrinkle better and have a better result. Posted in Chemical Peels, Fillers / Facial Fillers | Comments Off on Fillers 2 days after Jessner’s Peel. Is this okay. Is it better to do fillers or peels first? Can chemical peels lead to cold sores? A chemical peel (Dr Young of Bellevue Washington) can cause a reactivation of the herpes virus that leads to cold sores. Some 90% of people are infected or have been infected by the Herpes Virus simplex 1 that cause oral herpes. Chemical peels, resurfacing, dermabrasion all stimulate the skin that can reactivate the virus that usually resides in the sensory nerves (dorsal ganglion). These peels or procedures stimulate the nerves, decrease barriers and active the virus to come down the nerves to the cause the cold sores. They don’t actually lead to a new infection, they just reactivate the virus that has been there since childhood. Usually if the peel is more than superficial, I will prescribe acyclovir, or vacyclovir as prophylaxis. I don’t always do that for superficial peels like glycolic, low strenght tricholoracetic acid, or jessner peels, etc. Laser resurfacing, dermabrasion, and medium to deep depth chemical peels usually require prophylaxis. Posted in Chemical Peels, Laser Resurfacing | Comments Off on Can chemical peels lead to cold sores? Question: Is a facelift the best option for acne scarring? What other options do I have? Answer: A Facelift is not the first option but I have noticed improvement in Acne Scarring from this procedure. I personally have many patients that have noticed a significant improvement on their acne scarring from a facelift procedure. Is the facelift a procedure that is usually recommended to a person to improve their acne scars? The answer is “no”. But I usually present all options to the patient. Among these options include laser resurfacing, chemical peels, dermabrasion, dermasanding, fillers, fat injections, and excisional techniques. It depends on how your scars look like. If you have alot of deep ice pick scars you may need some excisions to completely remove them. Of course if they are everywhere you might have to pick and choose which ones to excise or cut out. This excisional approach is usually followed by some resurfacing. I usually prefer to excise and then resurface the areas at the earliest 6-8 weeks. One important point to remember is that the goal is improvement. Your skin is probably not going to ever look like your skin when you were a baby of course. But we can make it better! Fat injections and fillers can be used to break up the scarring that sometimes holding the skin down to the deeper layers. This often causes the scars to be held down. Fat injections is the best way to soften up the adhesions of scarring to allow the skin to come away from the deeper scarring. Here is a live demonstration of fat injections being done in the face (Dr Young is a fat injections specialist from Seattle, Washington). Fillers can also do this, but less well. Here is a live demonstration video of an Acne Treatment Procedure. Chemical peels can be uncomfortable but depends on the depth of peels. Chemical peel (Dr Young’s Chemical Peels) can be uncomfortable but depends on the depth of peels. Superficial peels can even be uncomfortable and many times I will use a hand held fan in my practice. The other doctors mention that chemical peels don’t really hurt. I would tend to disagree based on my experience. Jessner’s peels are superficial but they are uncomfortable but tolerable. Anything using tca 20% or more will cause discomfort that will need oral sedation or iv sedation in my opinion for my patients comfort along with topical anesthesia. Glycolic peels are more superficial than Jessner’s peels but they are still uncomfortable in my experience. I’ve done these myself on myself. So make sure to ask your doctor what they do to make you feel more comfortable. There are things that can be done! Posted in Chemical Peels | Comments Off on Chemical peels can be uncomfortable but depends on the depth of peels. Blisters and peeling after a Jessner’s peel. Is this normal? Blisters are unusual after jessner’s and Strong itching could be indication of infection. Jessners (Seattle) is a superficial peel and should really have just redness after the peel and peeling of skin 3-5 days later. The blistering that you see could be crusting and you may need to clean more aggressively at least every 2-3 hours and sometimes every hour to decrease the crusting by moisturizing it and allowing the crusting to naturally fall off with the rinsing. I would definitely have the physician see you and make sure that you are taking care of the peel after the procedure. Jessner’s peels are difficult to take deeper beyond the floor of the skin (or basement membrane). Even 5 coats may not take the peel deeper than the basement membrane which leads to a superficial to medium depth peel. Posted in Chemical Peels | Comments Off on Blisters and peeling after a Jessner’s peel. Is this normal?